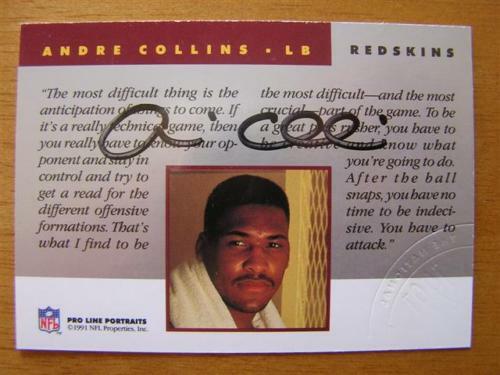 1991 Pro Line National Convention certified autograph card of former Washington Redskins and Penn State linebacker Andre Collins. Embossed with the 1991 National Convention seal confirming the authenticity. ONLY ONE AVAILABLE FOR SALE.